When you talk about all-female bands, everybody comes up with names like THE RUNAWAYS, ROCK GODDESS, VIXEN & GIRLSCHOOL. Some people might even mention PHANTOM BLUE or PRECIOUS METAL and SHOW-YA, when you're really lucky. This must change at once and let there be no doubt about that. We take you to Göteborg, Sweden, to meet the queens of thrash: ICE AGE. When the band started off in '85, they didn't want to hit the scene as a band that just looked good, but one where the music does the talking. With this in mind, they called themselves ROCK SOLID with Tina Strömberg on drums, Pia Nyström on guitar, Sabrina 'Sabbe' Kihlstrand on guitar/vocals and Sabrina's sister, Helena Kihlstrand, on bass. The band released their first demo (six tracks), which was simply called "Rock Solid". 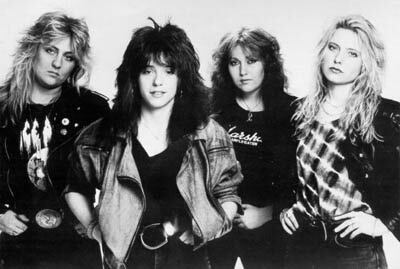 In October '86, Vicky Larsson became the final member replacing Helena on bass. In the early years, the girls played a power metal kind of style (similar to IRON MAIDEN), but slowly their sound developed into thrash metal, containing some technical approaches as well. Influenced by bands such as RUSH and QUEENSRYCHE, they soon build up a very solid techo-thrash sound and also changed their name into ICE AGE. To give you an example, their sound was often compared to MEGADETH (first two albums) and METALLICA (3th and 4th album). Containing a lot of speed and mood changes, but constantly playing with a good feeling for melody. In these early days, even the semi-legendary Kim Fowley wanted to have a piece of the action. But what he had in mind with the four beautiful Swedish girls, wasn't exactly what the girls expected from the rock scene. Playing good music came on first for the band and Kim had different thoughts about that, so very soon it was exit Mr. Fowley. The ladies' destiny was definitely the music. Of course you can't throw away a name like Kim Fowley that easy, but they didn't feel like being a second VIXEN or RUNAWAYS. Their second demo "General Alert" shows that being a female MEGADETH was obviously more their style. On the tape you'll hear a good mix of fast and slow breaks, a touch of melody and the heavy guitars being the most important part of an ICE AGE song. No hard feelings about all-female rock bands, but once they even thought about getting a second band at their side by the means of the Music For Nations outfit MEANSTREAK. Disappointment all over, when MEANSTREAK decided to go more mainstream than thrash. Look around and you have to admit that ICE AGE was the only true all-female thrash outfit back in those years. And the fans in Holland and Belgium believed in them! 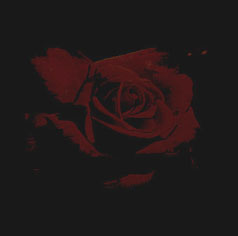 The second 'untitled' demo from 1988 continues in the well-known ICE AGE style; including songs like "Making My Mark", "In The Name Of Science", "The Betrayal" and "FY!" (all titles written by Sabrina Kihlstrand & Pia Nyström). Their third demo was called "Instant Justice" and it meant another step forward to success and recognition they wanted and deserved so much. Even a video was shot from the title track "Instant Justice", but I guess MTV must have sadly missed it in their huge collection all these years..... The demo sold about 1200 copies. Reason enough to believe, that the record labels would stand in line. After a successful tour that also brought the girls to Holland (with supporting act the Dutch thrashers DEFENDER), the band decides to come up with a second tour to promote their demo. Right in the middle of that tour in '89, founder member Sabrina walks out and quits the band - leaving the others behind halfway their European tour. Three months later, two new band members are recruited; American vocalist Debbie Gunn (ex-ZNOWHITE/SENTINEL BEAST) and Italian guitarist Isabella Fronzoni. The problems about combining both the singing and guitar playing is history now (things that were difficult for Sabrina). It also gives Pia more space to improve her guitar playing within the ICE AGE sound. And so ICE AGE became a five piece act with members coming from three different countries. I think that was the main reason why the band split up in the first place. I can't think of any other good reason. They even had their well-earned record deal with AVM after all these years and they were ready to enter the studios to record their debut CD. One part of the band wanted to cross the continent and show America that ICE AGE was ready for the job. While Swedish founder members Pia and Tina knew for sure, that their future was in Europe, where they'd already earned a lot of faithful fans, who were dying to welcome their first CD. It's strange that a band with only a couple of demo tapes available, can make such a giant impression. No, not at all, just have a listen to them and you'll hear why they were so great. They were very dedicated to their music and believed in themselves. That it didn't lead to success, wasn't their fault. When they finally stopped, it was a wise decision somehow, but will there ever be a second all-female thrash band like them again? Remember ICE AGE were the only one and they still are. Maybe that's why they were (and are) so special to me. Any information on the ex-members of ICE AGE is more than welcome at our office. One thing is for sure: ICE AGE made my heart melt!